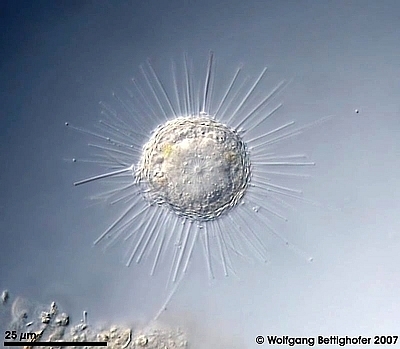 caption Acanthocystis penardi shows numerous siliceous spines and scales inserting, and lying respectively, upon the surface of the cell forming the periplast. The central body from which all the axopodia originate is clearly visible. Scale bar indicates 25 µm.